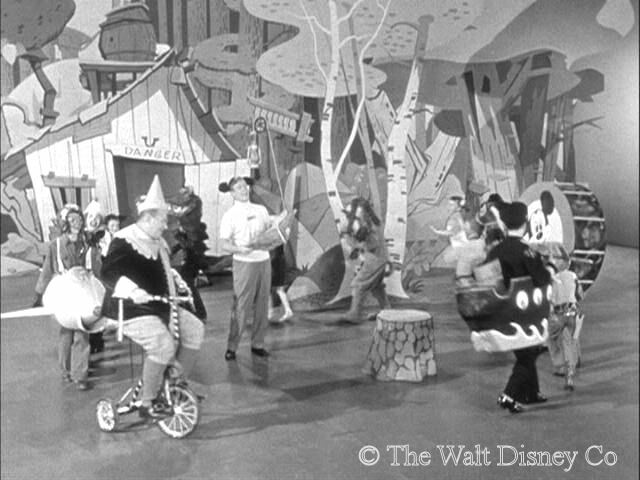 Although it retained the superficial aspects of the first season, including the daily format and weekly rotation, the Mickey Mouse Club underwent major behind-the-scenes changes for season two. 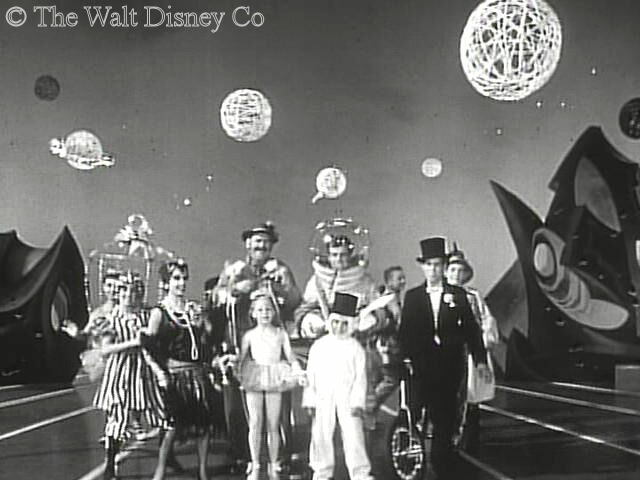 The changes were initiated by Walt Disney, who stepped in to alter the show's direction. 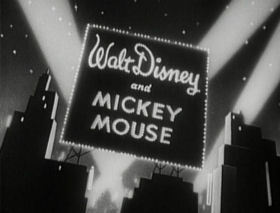 Walt Disney had left overall production of the Mickey Mouse Club during the first season to Bill Walsh, but after the show's debut on ABC in October 1955, he instituted some significant policy and personnel changes. Principal among these was the decision to re-orient the show towards twelve-year olds, from the original target audience of three to fourteen specified by ABC. Narrowing the show's focus to older kids enabled the creative team to improve the overall quality of new material, but at the same time, made it more vulnerable to shifts in the notoriously fickle viewing habits of young teenagers. While Bill Walsh remained as producer, Walt Disney replaced two of the show's other top positions, and reassigned writing chores to newly-hired professionals. General coordinator Hal Adelquist, who was as responsible as anyone for the show's initial design and success, was replaced by production manager Mike Holoboff. 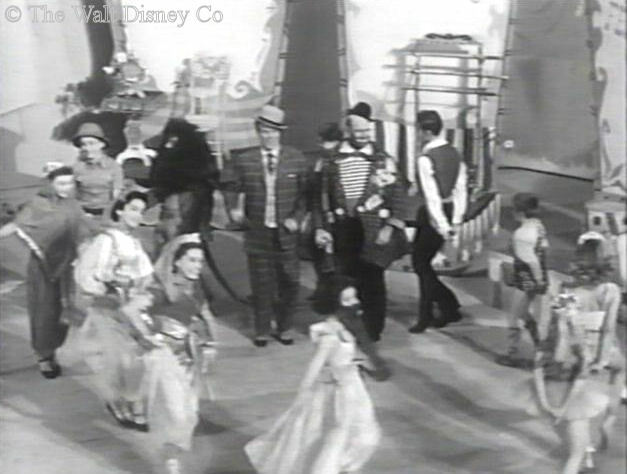 Dik Darley, who directed the Mouseketeer segments, was replaced by Sidney Miller, who brought with him choreographer Tom Mahoney to replace Burch Mann. Another important change took place in how production numbers were crafted. In the mad rush to get the show on the air, first season storylines had been hurridly written by Bill Walsh, Hal Adelquist, and Perce Pearce. The completed storylines were then turned over to gagman Roy Williams, who added jokes to them. They then went to the songwriters and composers, who would add music and lyrics where needed. For the second season this assembly-line was replaced by a more organic process. Newcomers Larry Orenstein, Tom Adair, Ray Brenner, and Sidney Miller would have complete responsibility for individual shows, writing the storyline, gags, commercials, lyrics, and music. 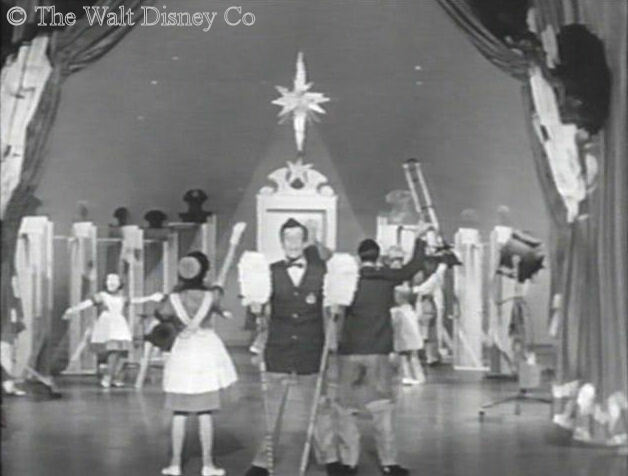 Belatedly putting his personal brand on an outstanding ratings success, Walt, who was conspicuously absent during the first season, now began showing up on camera for second season skits and features. 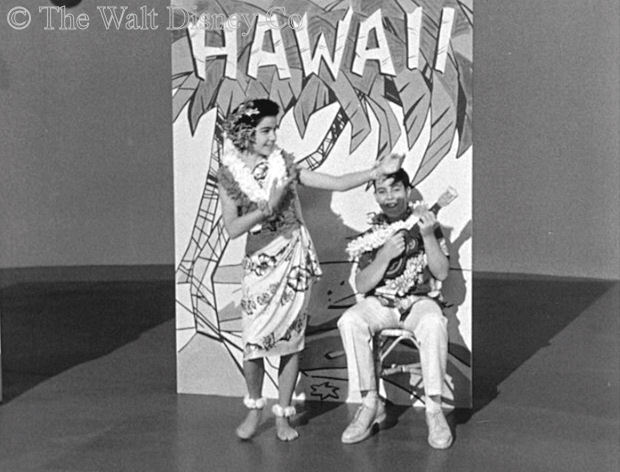 He inserted himself into the serial Adventure in Dairyland, joined the Mouseketeers for Holiday in Hawaii, and hosted a two-part Anything Can Happen Day feature on firemen. This was purely a second season phenomena; when the third season rolled around, Walt was again a no-show. 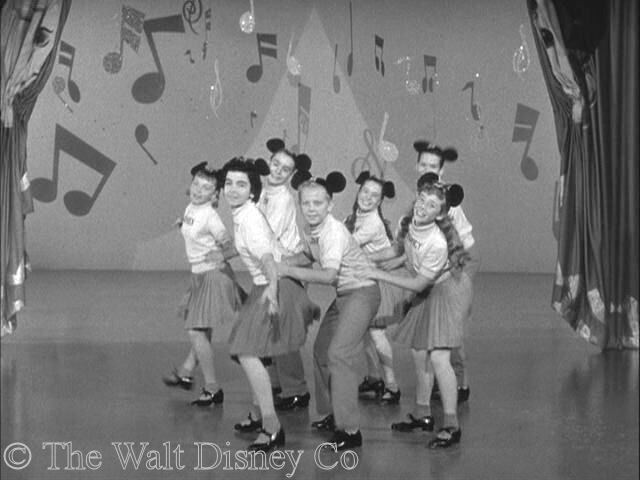 With the shift in the show's target audience, the composition of the Mouseketeers also changed. The first season's cast had over half it's members at age eleven or younger. 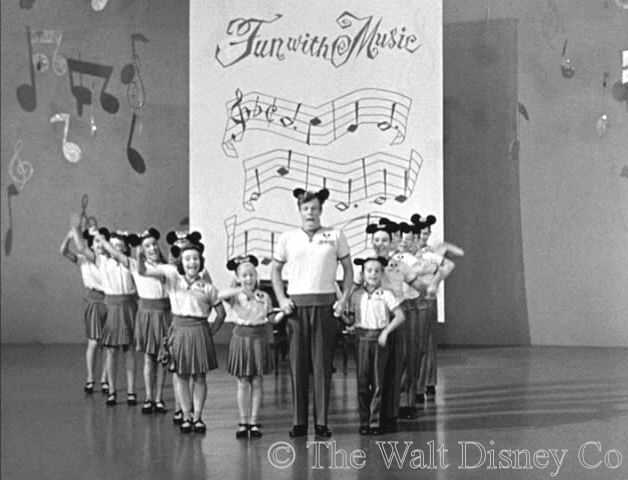 For the second season, fourteen out of seventeen Mouseketeers were age twelve or older. The age shift ensured more professional behavior and performances from the cast, as well as opening the door to tacit acknowledgment of sexual attraction and mildly romantic situations in the songs and storylines. 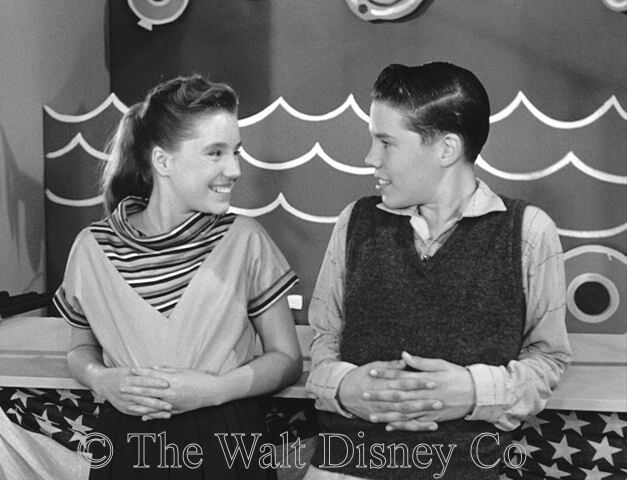 (Not that there was any kissing or even serious handholding...this was the Mickey Mouse Club after all). The change in attitude was signalled with the new openings for the daily shows. 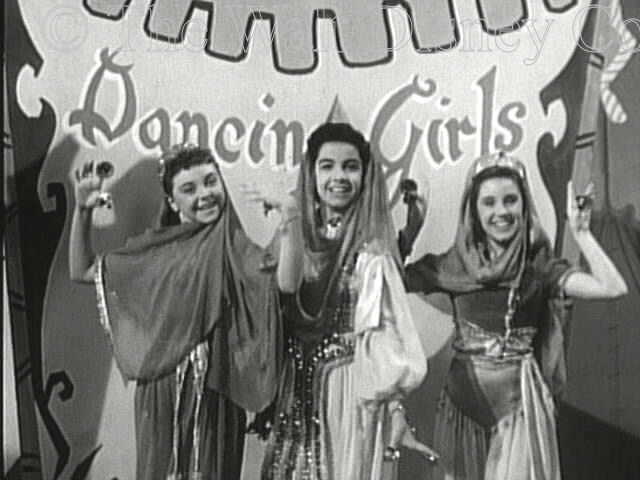 For Fun With Music Day, Darlene and Cheryl posed as French Can-Can girls, while Circus Day had Annette, Doreen, and Darlene doing the harem scene. The first show of the new season also brought home the message, Darlene lamenting the lack of a boyfriend in All Alone at Coney Island. And of course there was still Annette, the slim smoldering fuse to the gunpowder-room of teenage boys hearts. The change also affected the serials. 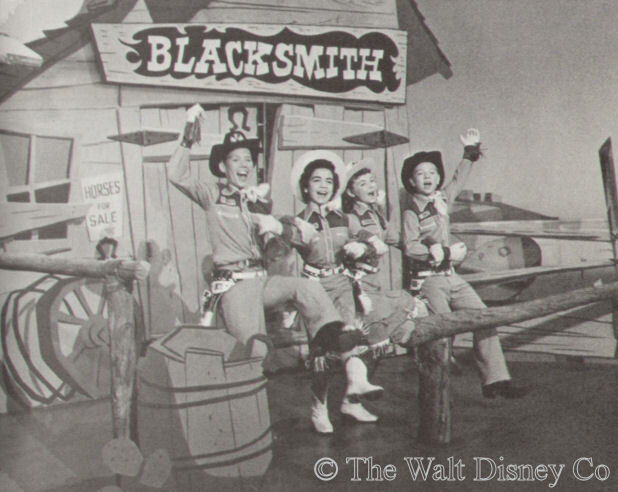 Adventure in Dairyland had dual attractions between Annette and Glen Graber, and Sammy Ogg and Mary Lu Delmonte. The Triple R guys were now romancing and dancing with the Lakeview Lodge girls, to the annoyance of some viewers and the delight of others, while the new Hardy Boys serial emphasized the one-way pursuit of Joe Hardy (Tommy Kirk) by Iola Morton (Carole Ann Campbell). Sets and costumes were more-or-less given a makeover for the second season. 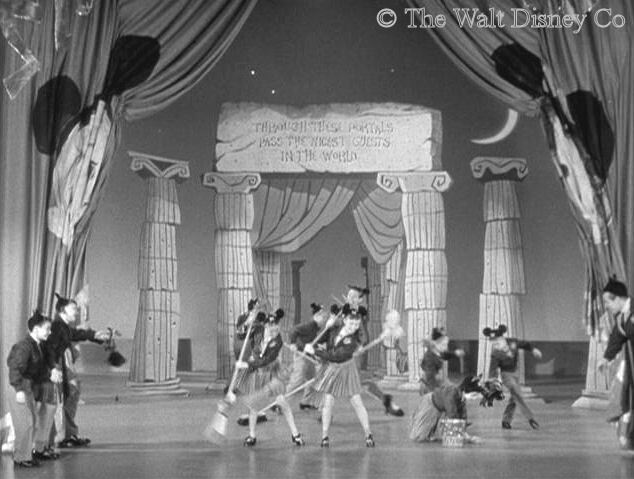 The stage sets used in the first season daily openings were succeeded by equally minimal ones for the second season. For the production numbers, however, a lot of money and effort went into second season set design and decoration. The budget buster was the first Hardy Boys serial, The Mystery of the Applegate Treasure. One of the four Burbank studio soundstages was entirely devoted to elaborate sets for this serial. The producers partially made up for this expense by using two previously-released movies for the serials Boys of the Western Sea and The Secret of Mystery Lake. 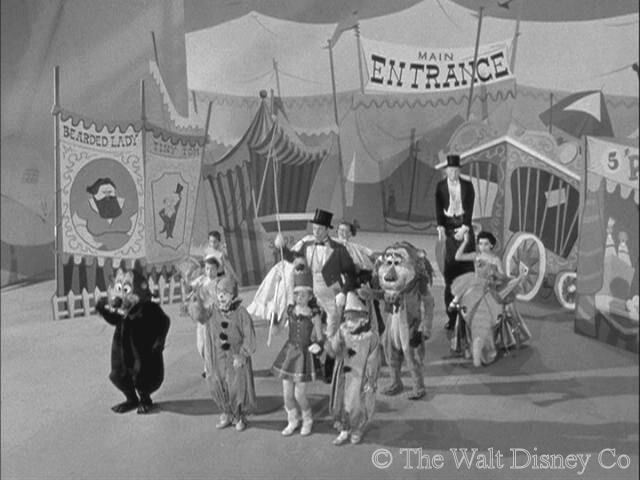 Costumes were also altered and diversified; gone were the full-body animal suits used in the first season, while street clothes began showing up in production numbers. 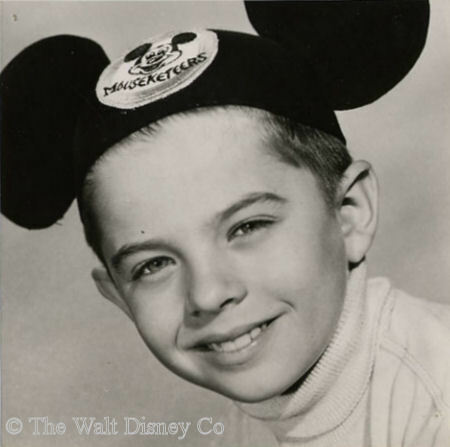 The Mouseketeer wardrobe grew to include blazers and pinafores for Guest Star Day, while v-neck polo shirts were used as much as the standard turtlenecks. 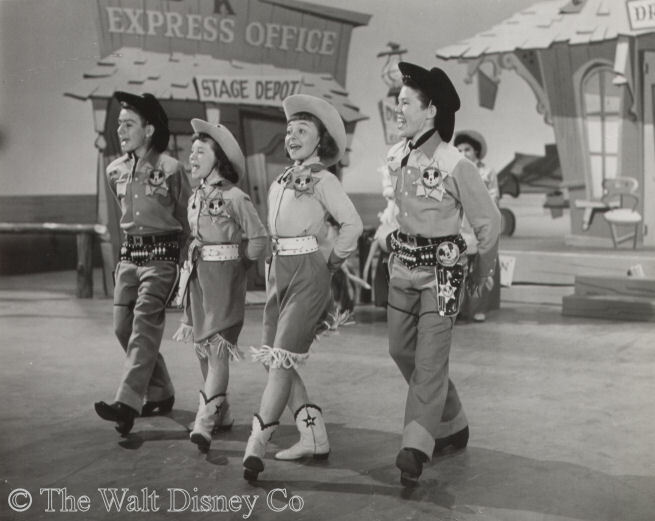 Costumes, when used, allowed Mouseketeer faces to be seen, the producers having realized their cast was more interesting to the viewers than animal suits. The western outfits worn on Talent Roundup Day were changed from light and dark blue with white trim, to light and dark brown with white trim. 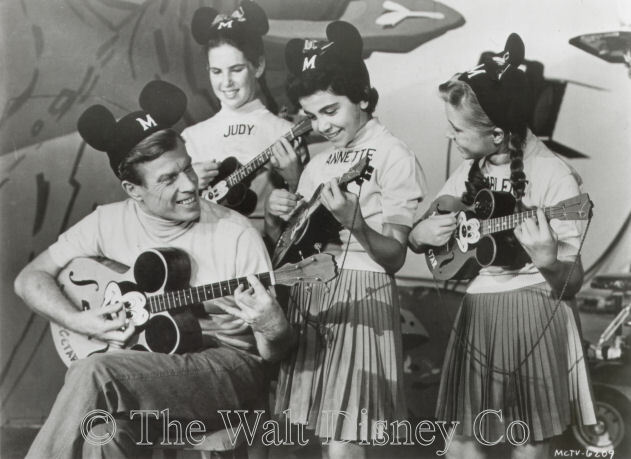 The logo on the Mouseketeer ears was switched from a simple white "M", to an orange-encircled (orange showed up better on camera than red) round patch incorporating Mickey's face, for trademark reasons, the better to foil unauthorized imitations.